I try to install then I tell you. Thank you for the fine work. Sorry if the question is stupid... but isn't the TWRP from the store OK? Hi, all - I am preparing to update from Stable 8.2.5 to the latest development rom 8.6 or reven to Miui 9. I want to make a full backup of my phone with TWRP and are unsure if I need to include the partitions EFS and FIRMWARE in that backup? When I want to go back to the backup do I then also restore EFS and FIRMWARE ? I'd suggest backing up firmware along with system, if the firmware doesn't match the rom then there can be all sorts of strange issues though they can be fixed by dirty flashing whatever version you're using anyway since firmware is bundled with every official MIUI release (and xiaomi.eu release). No harm in backing up EFS though probably only worth restoring if you have any issues. Great - many thanks for the clear explanation. New TWRP 3.1.1 based on miu9. Sorry. But I can not post links. Puoi citare la fonte che così proviamo a cercare noi? Can you tell the source? Then let's try and look. Ciao, ho visto che in Miui.it ti hanno preso a male parole e la cosa mi ha veramente lasciato perplesso. Ciò detto, premesso che ho usato quel tool del mio concittadino con vari device senza alcun problema. Prova ad installare la twrp di @IceMan_it normalmente. 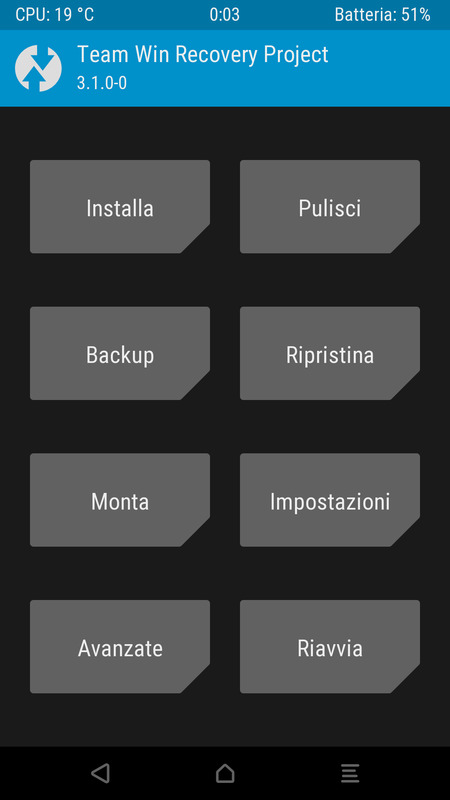 Visto che hai già una twrp basta installare il file .img dalla twrp. Una volta installato scarica l'ultima rom Xiaomi.eu sul pc (magari il precedente file era corrotto). Quindi prova nuovamente aprendo il tool e da opzioni avanzate scegli il file che hai scaricato. Non vedo che altri problemi possano esserci. Use official latest TWRP (works perfectly) and use the classic ADB/Fastboot command sequence to push recovery to the phone and then install it. Takes no more than 5 minutes, I believe no more than 4 steps are required. And everything is described clearly on TWRP page. Thank you guys, sorry @AleBerlo but I hasn't the TWRP on the devices and so I use the manual process like the hint of @NeoMod. @AleBerlo, You have perfectly right about the forum that you mentioned. Good. So it will be good to add it to the list. I see it works on Android 6.0. With Android 7.0 the same?